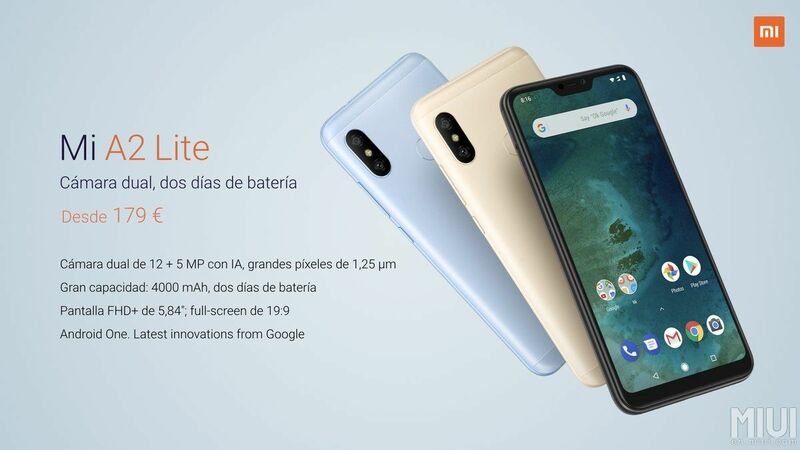 Besides the Xiaomi Mi A2, the company also announced the Mi A2 Lite, the entry-level variant of the same series. Like the Mi A2, the phone will run Google’s Android One OS, guaranteeing that the phone will be one of the first devices to receive Android P later this year. The hardware of the Mi A2 Lite is what you’d expect of an entry-level smartphone. It comes with a Snapdragon 625 SoC by default, but consumers will have a choice between choosing a model with 3GB RAM and 32GB internal storage or 4GB RAM and 64GB of storage capacity. The Mi A2 Lite is no slouch in the display department either. Xiaomi has given this phone a 5.49-inch Full HD+ display with a 19:9 aspect ratio. Unlike the Mi A2, however, the display of the Mi A2 Lite comes with a notch at the top of the display. Xiaomi’s also clearly didn’t skimp on the Mi A2 Lite’s camera department. 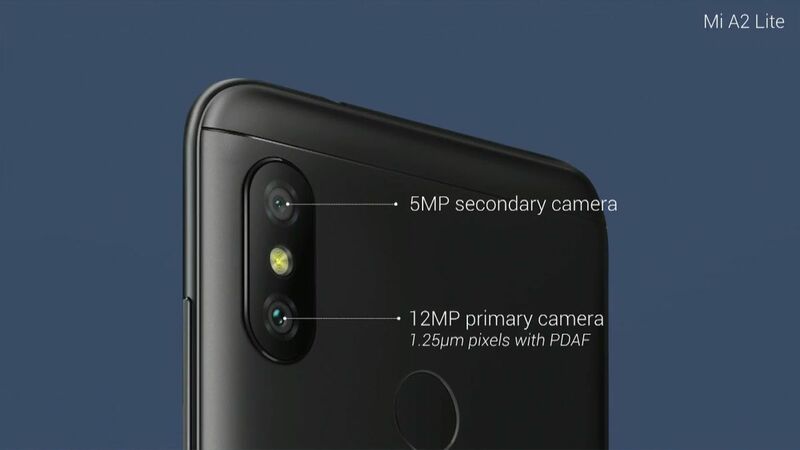 The phone’s main camera array is fitted with a 12MP + 5MP 1.25µ dual camera sensors, while the front-facing camera seems to have gotten no mention during the announcement. Last but not least; powering all the components and the phone as a whole is a 4000mAh battery that Xiaomi says will give its users two days of basic use. 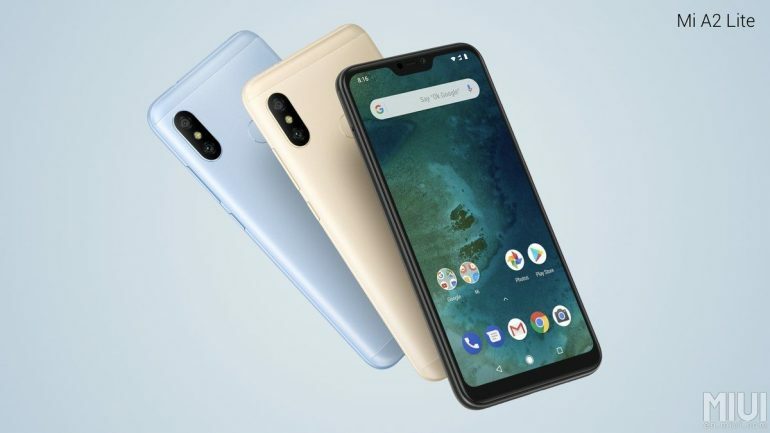 The Xiaomi Mi A2 Lite will retail for 179 Euros (~RM851) for the 3GB/32GB storage variant, and 229 Euros (~RM1089) for the 4GB/64GB storage variant. Like the Mi A2, it will be available in three colours: Black, gold, and blue. Xiaomi has listed Malaysia as one of the primary countries that will be receiving the Mi A2 Lite, though it fell short of providing a proper launch date for the country.